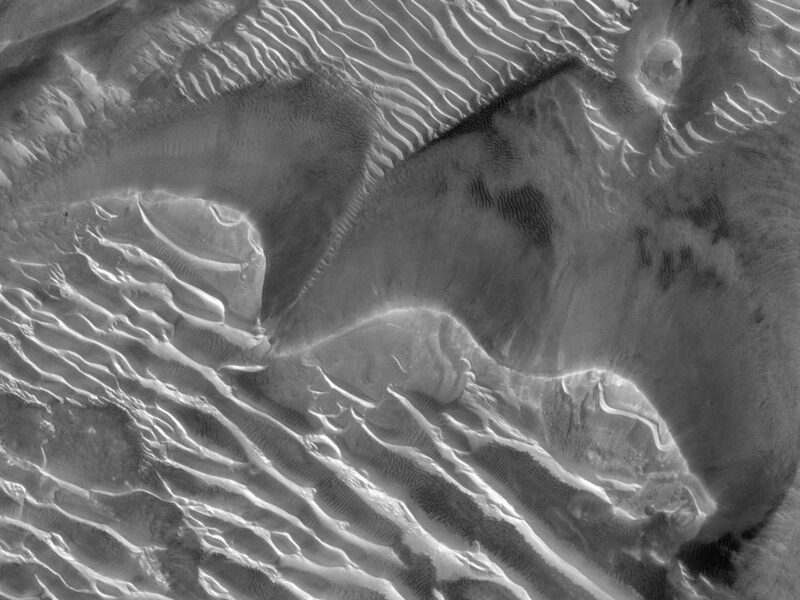 Here’s a grand dune, making its stately way northward under winds blowing mainly from the south-southeast (bottom to top), with a secondary wind blowing from the southwest (lower left to upper right). 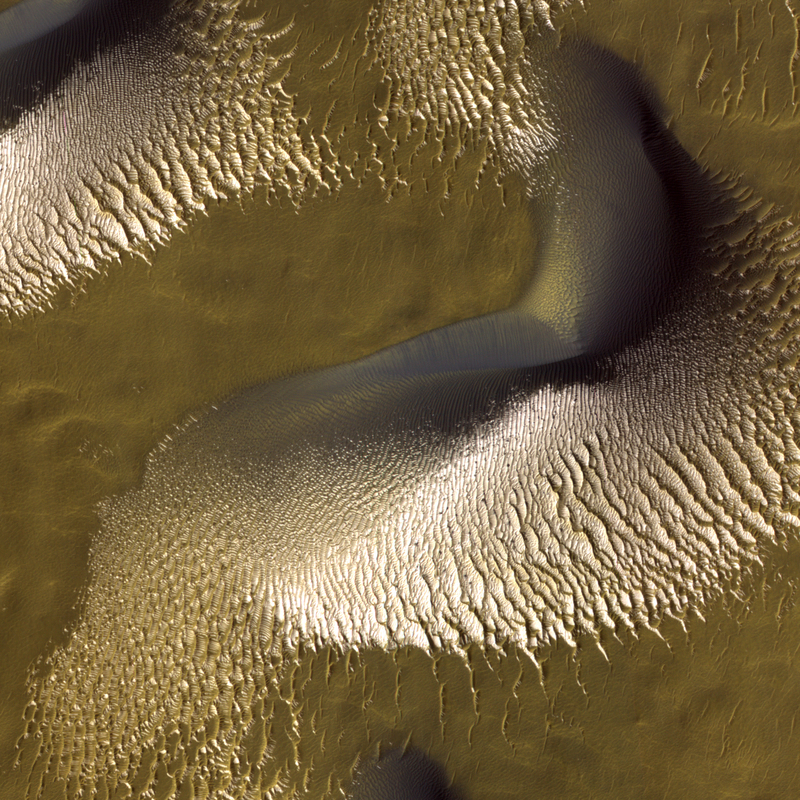 There are two rippled and sharp-crested slip faces on this dune — can you identify both of them (hint: each wind creates one slip face on the downwind side)? The dune is ~750 m (2,460 ft) long. 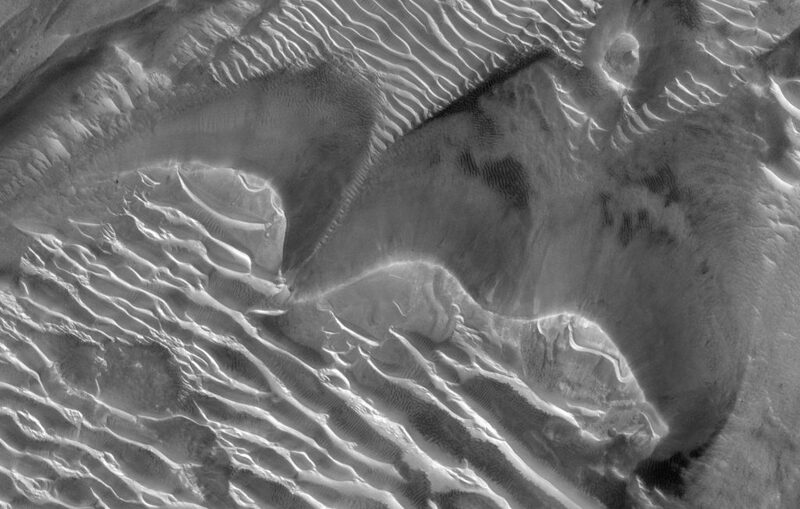 It’s made of dark sand the wind blows along the ground until it piles up into these big mobile hills we call dunes. But the dune isn’t alone. 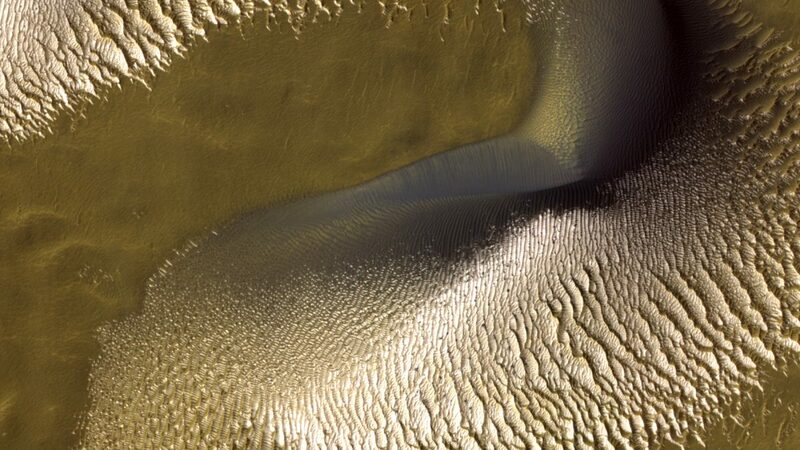 Trailing behind the dune, like a veil, is an entourage of smaller, paler ripples. 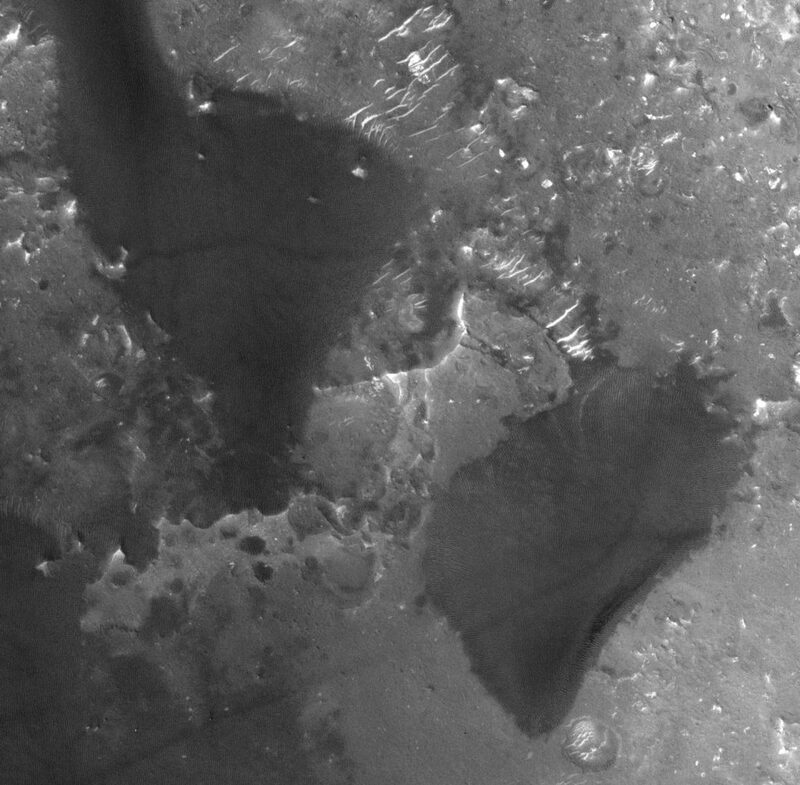 These are coarse-grained ripples, made partly of larger grains that are too heavy to move as quickly as the finer dark sand that makes up the bulk of the dune. 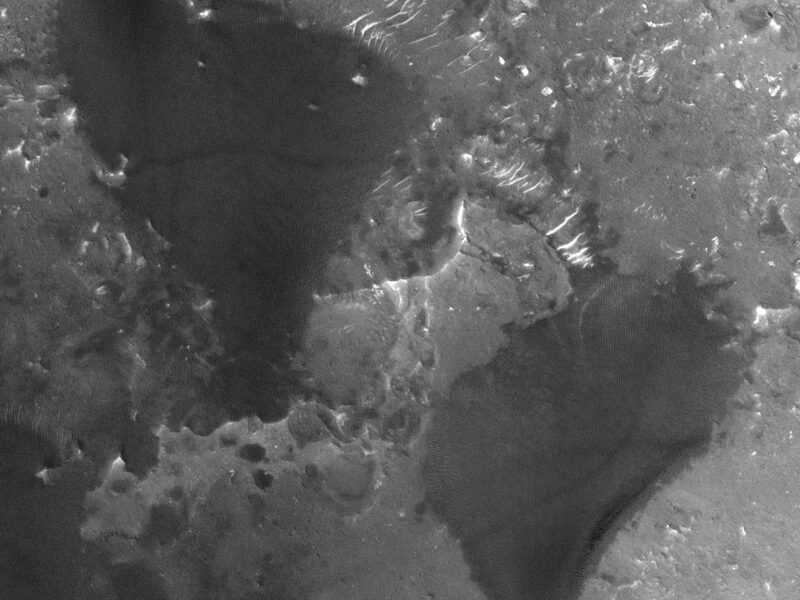 In this image there’s a second set of trailing material: the bright white areas are remnants of seasonal CO2 frost that accumulated over the winter. 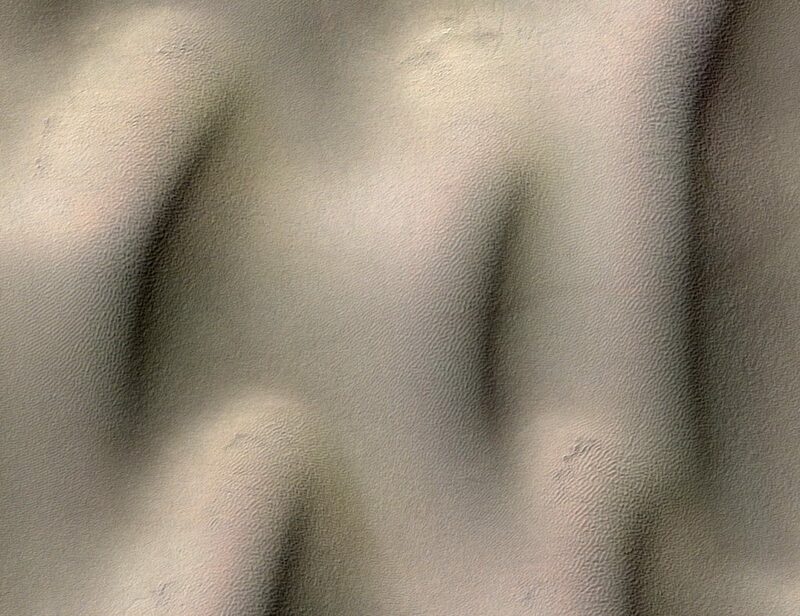 These dunes are inside Maunder crater, which is located far enough south in Mars’ southern hemisphere that a bit of frost piles up there seasonally. In this image it’s late winter, and the frost has started to sublimate away, remaining only on the shaded slopes.